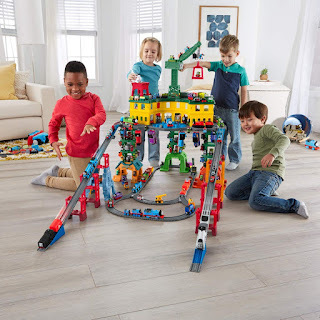 Amazon has the Fisher-Price Thomas & Friends Super Station on sale for $67.99 (regularly $99.99). This multi-system track set with 3 levels of play includes Thomas, Percy, James and Harold. 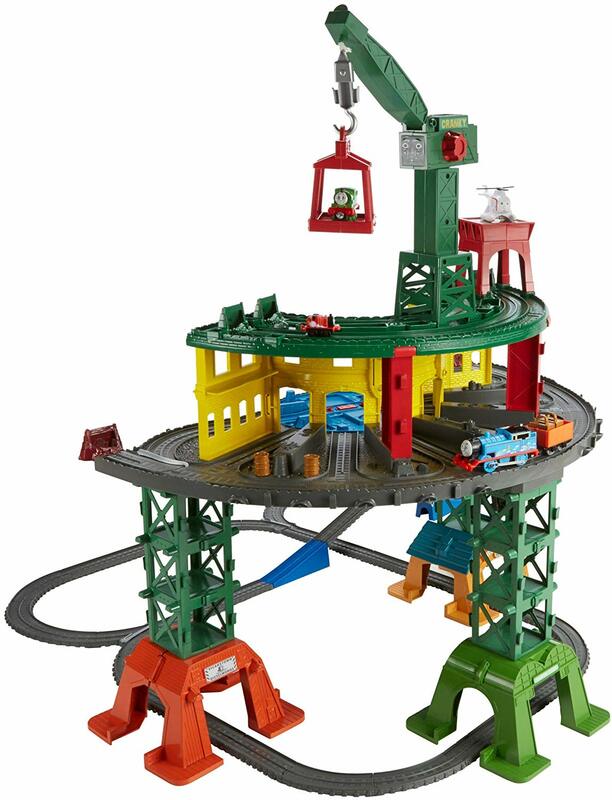 Holds over 100 engines and features over 35 feet / 10 meters of track, and features iconic locations. Fun features include Cranky the Crane with a crane that can be raised, lowered, and attached to a cargo lift that can be used to raise cargo and engines; and a turntable complete with a stop-track lever to halt TrackMaster engines while your little engineer changes direction. The legs and locations feature tunnels, and there are areas for cargo storage, too.